Dell's 'Sputnik' Ubuntu Linux ultrabook: First in a new line? Although it's oriented primarily towards developers, Dell's "Project Sputnik" Ubuntu Linux ultrabook has attracted considerable interest from Linux fans. When I spoke with Barton George, a Dell director, upon the North American launch last fall of the XPS 13 Developer Edition, he noted two common requests that came up during the testing process: a "big brother version" with beefier specs, and availability outside the United States. Earlier this week Dell offered fresh news on both of those fronts. "On Dell.com, we’re now offering the XPS 13 Developer Edition laptop with the full HD screen for customers in the United States for $1549," wrote Dell blogger Lionel Menchaca on Monday. Not only that, but "we're also starting to roll it out in select countries in Europe." Earlier this month Dell announced that it was bringing a full HD display to its main XPS 13, noting then that it would eventually become standard in the Ubuntu-preloaded XPS 13 Developer Edition. "Having a higher-resolution display option was the most requested feature from customers interested in the XPS 13 Developer Edition," Menchaca noted in a blog post at the time. "This feedback was consistent with what we heard from reviewers and other potential XPS 13 customers as well." Featuring a 1920-by-1080 resolution, the new, 13.3-inch display is brighter and has wider viewing angles than its predecessor. Previously, the Ubuntu laptop offered a 1366-by-768 resolution. As for other specs, the "Sputnik 2" machine now sports a third-generation Intel i7 processor, 8GB of system memory, Intel HD graphics 4000, a 256GB SSD drive, and Ubuntu Linux 12.04 LTS as its operating system. Also included in the $1549 package are one year of Dell ProSupport and onsite service after remote diagnostics. Availability, meanwhile, is already here for the United States and Canada, while the rollout in Europe apparently begins next week for online sales in France, Germany, the UK, Austria, Belgium, Denmark, Finland, Ireland, Italy, Netherlands, Norway, Spain, Sweden, and Switzerland. In Israel, Luxembourg, Morocco, Russia, Saudi Arabia, South Africa, Turkey, and the United Arab Emirates, sales will be made through a local Dell representative. 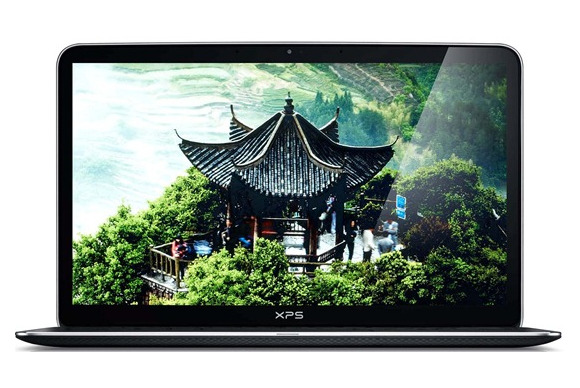 Finally, "with regards to the Asia Pacific region, we are currently evaluating options to introduce the XPS 13 Developer Edition in Australia and other countries in Asia, but don’t have details to share at this time," George explained in a Monday blog post of his own.